Worries seem to instantly melt away from the moment you drop your bags in the doorway of your suite at Tuckaway Shores Resort. 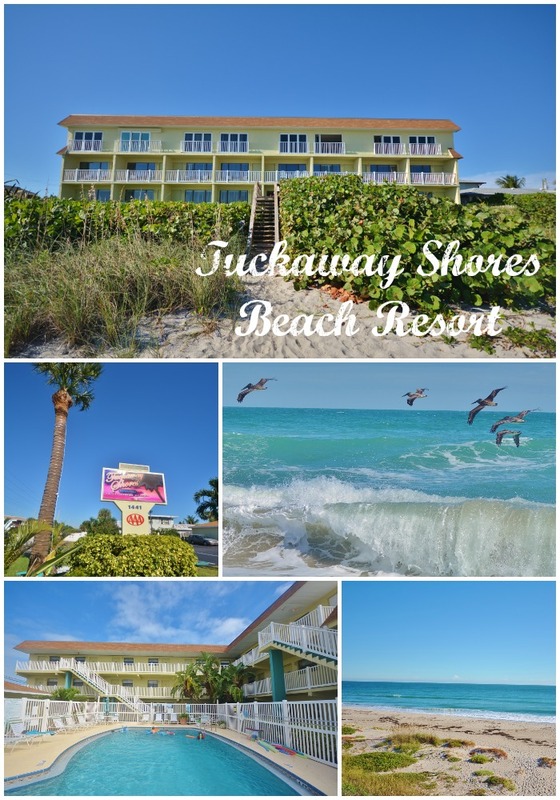 A small independently owned resort, Tuckaway Shores is a member of the prestigious Florida Superior Small Lodging organization, who strives for first-class service and cleanliness in all of its member resorts. Representing the best of "old Florida," Tuckaway Shores feels just like coming home after a long trip away, and the waves are so close, the sound lulls you to sleep from right outside your window. Small touches go a long way to make this an amazing option for those visiting both with children and without. Located in Indialantic, FL, Tuckaway Shores Resort is nestled along the Atlantic Ocean coastline. If visiting the beach is a top priority, then few resorts will be more accommodating than this. You can find the beach just steps from your room here, with an oceanfront view in many of the available suites. The resort is within close driving distance to ample shopping, restaurants, a half hour from Brevard Zoo, an hour from Kennedy Space Center, and just an hour and a half from Orlando. All rooms at Tuckaway Shores Resort are two room suites. The bedroom features a queen sized bed in most suites, with some having the option of two twin or single beds in the bedroom instead. Also included is a living room area with pull out couch, updated large screen TV's, a bathroom with separate sink and vanity area, as well as a kitchenette with stove top and full sized fridge. Decorated in cool tones with beach themed decor, these rooms provide ample space when traveling with children. Rooms on the 3rd floor can accommodate up to 5 people with the addition of a roll away bed available at a rate of $10 per night. First floor suites feature a patio, second floor suites have a balcony, and third floor suites feature a gorgeous 9ft. wide European folding glass door system. Be aware that there is not an elevator available at this resort, so plan accordingly for any disabilities. Aside for the absolutely gorgeous ocean and beach itself, Tuckaway Shores Resort has some other amenities to help make your stay as comfortable as possible. These include a heated pool with plenty of complimentary toys for children to play with, beach toys are also available to use at no charge, as are beach chairs and towels. This take a huge burden off of parents who feel they need to over pack, or purchase one time use toys or chairs once they arrive. A laundry room is provided for guests to use, and coffee is offered in the office area each morning. A cabana offers a cool place to relax, read or gather, and is available for guests to use or rent out if needed. Don't forget to check out the Big Green Egg during your stay too, this state of the art grill/smoker/baker is available for guests to use for free, and recipes can be shared upon request. The office can also provide complimentary DVD's and Blurays to watch on the players in your room during your stay. First, it is worth noting that Tuckaway Shores Resort has been awarded the white glove award from the Florida Superior Small Lodging Association several years in a row for their incredibly dedication to cleanliness, and they are AAA certified as well. Their staff is always friendly and accommodating. We were offered assistance on several occasions, and unlike larger establishments, when I called the front desk because of an issue with my TV, someone was up to fix it within 5 minutes. If you are searching for a resort with great location, attention to detail and amazing service, then look no further than Tuckaway Shores Resort for your next visit. To learn more, or to check rates and book an upcoming stay, visit TuckawayShores.com. Plus, right now through December 15th, you can save 20% when you book using the code "Blog." Blackout dates of the months of February and March as well as holidays and special events do apply. My hotel accommodations were provided for the purpose of review, but all opinions are my own. I loved seeing your photos from Tuckaway on Instagram this past week! It looks so pretty there and it looks like the boys had a blast!! I keep saying AMAZING posts about these places from FL. I seriously need to venture out and check these out. I'm seeing all these posts about Florida, and I'm getting SO jealous. I DO NOT love Rhode Island winters. Tuckaway shores looks amazing. I love the beach, and the rooms and the pool look outstanding. I'd love to stay at Tuckaway Shores for a couple of weeks with the family. It is SO gorgeous! This looks like a wonderful getaway. That beach... Yowza. It's totally beachy and just what I would want when staying in Florida. What a great resort! Wow, that looks like a beautiful place to stay. It's so beach and inviting. Looks like a great place to getaway. I am in such need for a getaway. What a cute little place. Looks like it serves all the purposes of needing a place to stay. Now I'm missing the beach and the warm weather of summer. That looks fantastic. Real homey and comfy. That looks like such a nice, down-to-earth place to enjoy some time away from routine and just relax as the kids have fun. The beach looks amazing! Looks like a vacation out of a magazine! What beautiful scenery and such family friendly accommodations! What a fabulous place to visit! Looks like you had a great time! I have actually never been to Florida! I need to get on that! Looks like your family had so much fun! I love the cottage look and feel of this place. It has been ages since I have been to Florida. I really need to go back to visit family and friends. Looks like a great place to stay with a family. Having a kitchen is such a time and money saver when traveling with children. Looks like a fun, relaxing place to vacation! I love the beach. That is one beautiful beach! I'm in Florida but hadn't traveled to this part before! Wow looks so clear and beautiful there. I'd love to go with my family.